What Is Expressed When Neither Copy of an Allele Completely Masks Expression? What is the Relationship Between Allele Frequency and Evolution? Evolution is the process that catalyzes genetic changes within a population of organisms. For example, a species of algae might modify their light-absorbing proteins from green to red to allow them to thrive more successfully in deeper waters. But the visible change in algae characteristics is a reflection of a change in the overall frequency of specific genes in the population. In technical terms, this is known as allele frequency. So evolutionary change can't occur without changes in allele frequency while a change in allele frequency is an indication that evolution is occurring. Phenotype refers to the set of observable physical and behavioral traits of an organism. 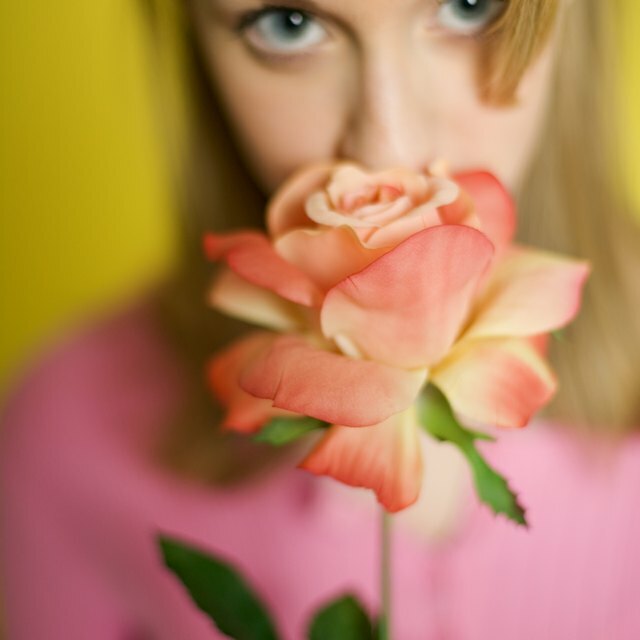 Many of those traits are direct expressions of an organism's DNA, which is called the genotype. Although some elements of phenotype are driven by the interaction of an organism's genotypes with the environment, one way or another phenotype is linked to genotype. The genotype of a specific organism consists of a set of genetic instructions for building proteins. Those instructions are usually a kind of mixed bag. For example, a green alga may have some DNA that directs the synthesis of red proteins, too. But other genes might switch the red-protein gene off, or maybe there's just a lot more green protein being made than red protein. So one particular organism could have a strong green genotype and a weak red genotype. Although evolution is driven by the interaction of the environment with a single organism, a single organism can't evolve. It's only species that can evolve. So geneticists look at the overall distribution of phenotype and genotype within a population. Many different mixes are possible. 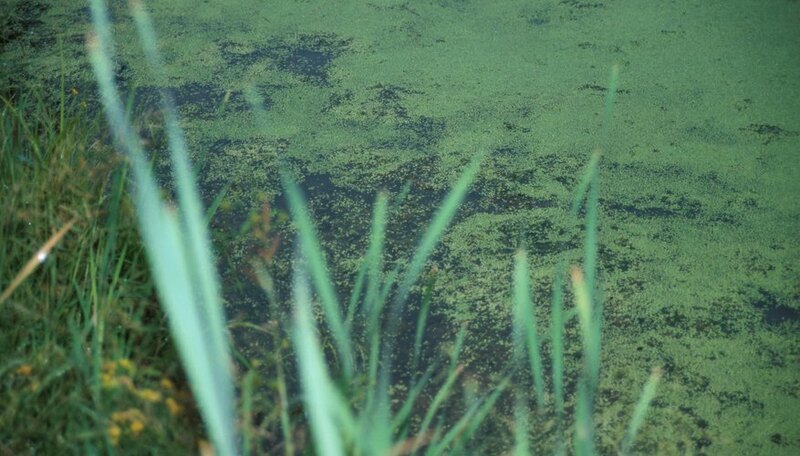 For example, a population of green algae could be green because they only have genes for making green proteins. But they could also be green because they have genes for green proteins and red proteins, but they have another gene that directs that red proteins should be broken down right after they're made. So the color-protein-making gene can be either "green" or "red." The two choices are called alleles, and a measure of the genetic makeup of the species is given by the allele frequency among all organisms in the species. Imagine a pond, a couple feet deep with algae growing throughout. The algae near the surface have plenty of yellow light that their green protein absorbs just fine. But the algae that drift lower don't have much yellow light--the water absorbs the yellow and lets more bluish light through so the deeper algae need red protein to do well at greater depths. If you were to sample the algae at the surface, the healthiest ones would be green, while the healthiest algae under the surface would be red. But the algae all breed with each other, so the percentage of green-protein and red-protein genes would be pretty stable from generation to generation. The stability of the allele frequency is described by the Hardy-Weinberg principle. Now imagine there is a year of heavy storms. The algae in the pond overflow the banks and spread to neighboring ponds. One of the neighboring ponds is very shallow, and the other is much deeper. In the shallow pond, the red-protein gene is not helpful, so more pure green-protein algae are successful. That will tend to drive the red-protein gene out of the gene pool--that is, it will reduce the allele frequency of the red-protein gene. The opposite may happen in the deep pond. In deep waters, the green-protein is of no help. The difference in depth of the green and red algae may drive the diminishing of green-protein genes in the population of algae that never comes close to the surface to breed. The allele frequency changes in response to environmental pressure: evolution is at work. What Makes an Allele Dominant, Recessive or Co-Dominant? Gaughan, Richard. "What is the Relationship Between Allele Frequency and Evolution?" Sciencing, https://sciencing.com/relationship-between-allele-frequency-evolution-18492.html. 25 April 2017. Does Natural Selection Operate on Genotype or Phenotype?